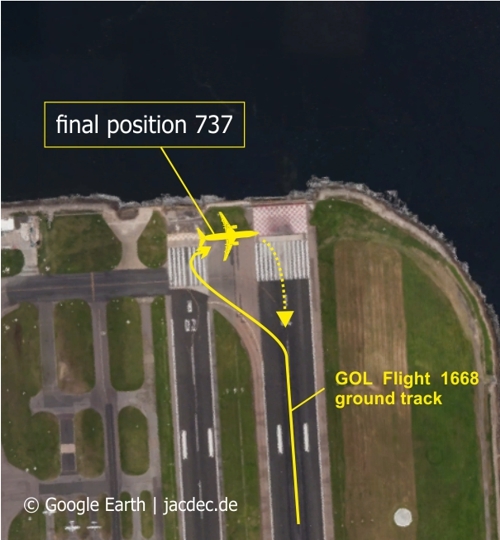 During line-up for take-off, the 737 skidded off paved surface ending halfway in the grass. There were no injuries. 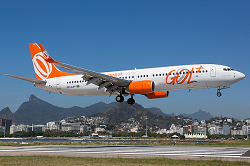 GOL flight 1668 was lined-up for take-off on runway 02 at Rio de Janeiro Santos Dumont Airport, when take-off direction was changed to runway 20 because of a change in wind direction. During backtracking the pilots aparently lost orientation and the 737 rolled beyond the edge of paved until its left maingear came to rest on the grass. There were no reports about any injuries on board. The airport was forced to close for traffic. 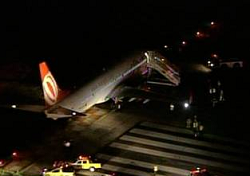 A Gol plane skidded off the runway before takeoff at the airport Santos Dumont late on Friday (25). 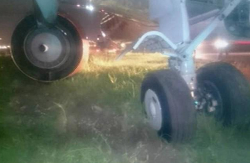 The plane was going toward Belo Horizonte it would have been stuck in the grass which is close to the track. There were no injuries.